The RSL Care WA’s retirement village at Jurien Bay offers an outstanding lifestyle opportunity for those seeking to have it all in a pristine beachside location just 2 hours north of Perth. The Village is easily found off the main highway just a few minutes’ walk to the main town centre, adjacent to the golf course and right opposite the lawn bowls club. So for those wanting convenience and lifestyle activities it’s all here and that’s without entering the superb Village facilities! 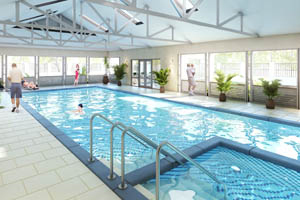 Those lucky enough to call Jurien Bay Village home have a magnificent heated indoor pool and spa to exercise or relax in as well as a sauna to ‘chill out’ in. There is also a fully equipped gym to maintain your fitness and active lifestyle with regular classes to join in the fun. The restaurant-quality dining room and commercial standard kitchen is the centre of many regular events to enjoy in the company of residents and friends alike. All of this as well as a private library, a convenient hairdressing salon and a large outdoor entertaining and BBQ area means residents really can Live it Up North at Jurien Bay Village. 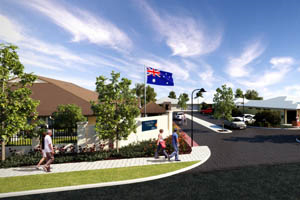 The new range of homes at Jurien Bay Village are all architecturally designed 6 star energy rated homes with a range of spacious 2 and 3 bedroom homes. Please contact Chris Harrison of H&H Developments on 0413 120 631 or Greg Johnson from Ray White on 0407 526 030 for all sales enquiries or call in and see Sharon at the Village today. Respite care, also known as ‘short-term care’, is a form of support for you and your carer. It gives your carer the opportunity to attend to everyday activities, go on holidays or just have a rest while ensuring your needs are supported by our dedicated care staff. For bookings and enquiries, contact Tracey McMulkin – RSL Care WA Reservations Coordinator/Site Manager on 9652 0499 or email wheatbelthomecare@acacialiving.com.au.